The simple act of slowing dowMake Halloween Safe Again!n on neighborhood roads can not only make Halloween more enjoyable for everyone, but it can save lives. Expecting Trick-or-Treaters at Your House? • Be sure walking areas and stairs are well lit and free of obstacles that could result in falls. 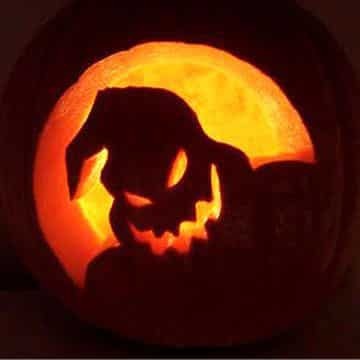 • Keep candle-lit Jack-O-Lanterns and luminaries away from doorsteps, walkways, landings, and curtains. • Place them on sturdy tables, keep them out of the reach of pets and small children, and never leave them unattended. • Invite your elderly parents or neighbors over to hand out candy, most seniors love the activity and excitement of the evening and will often reminisce about their childhood memories of Halloween. Have Children Going Out for Trick-or-Treat? • Teach children how to call 9-1-1 if they have an emergency or become lost. • Have a set time for your kids to return home. Make sure they know how important it is for them to be home on time or to call immediately if something happens and they are going to be delayed. • A good meal prior to trick-or-treating helps discourage youngsters from filling up on treats that have not been inspected by a parent or guardian. • Instruct your child to never go into the home of a stranger or get into their car. • Let your children know they can't assume the right of way. Motorists may have trouble seeing Trick-or-Treaters. Just because one car stops, doesn't mean others will. • Use reflective tape on costumes and bags so car drivers can see you better. • Take a flashlight to help you see, and others see you. • Always walk and don't run from house to house. • Always use sidewalks when available, or walk on the far edge of the road facing traffic to stay safe. • Consider wearing makeup and hats rather than masks that can obscure your vision. • Do not use decorative contact lenses without an eye examination and a prescription from an eye care professional. Obtaining decorative contact lenses without a prescription is both dangerous and illegal. • Examine all treats for choking hazards and tampering before eating. • Eat only factory-wrapped treats and never eat homemade treats made by strangers. • Consider a rationed approach of treats for children in the days following Halloween.